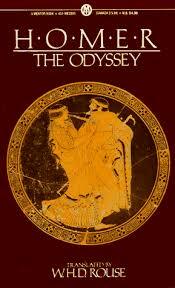 Homer research papers discuss the Greek author's works such as The Iliad and The Odyssey. Research papers on Homer can look at the works of literature attributed to him, such as the Odyssey or the Illiad, or the project can examine the historical or cultural time-frame in which his works were said to be written. Whatever you need for research on Homer, Paper Masters and our talented writers can assist you in producing a custom written project on Homer or any of his works. Homer research papers date Homer’s work as having achieved its final form around 750-650 BC and as stemming from a tradition of bardic, performed poetry. Homer’s story looks backward to the heroic age and incorporates the somewhat primitive value system that was attributed to that age. Homer’s account of the siege of Troy is one of the greatest myths of the ancient world. Though his account only encompasses the final year of the war, his telling is the source many of the myths recounted today. Achilles, the greatest warrior that had ever lived, and son of a goddess, lends his fame to Homer’s account of his tale. This telling also includes the story of the Trojan Horse, the most famous military decoy – if the story holds true. Homer’s telling of the taking of Troy with this great feat of trickery –the conception of Odysseus, the central figure in the Odyssey – shows how the Greeks built a giant statue of a horse. This statue, hollow on the inside, was a ploy in which the Greeks snuck into the cities well fortified walls, and killed its defenders while they slept. The Trojan Horse was the final and only successful attempt by the Greeks to take the city of Troy. The fall of Troy would mark the end of Trojan dominance of the northern trade routes, and secure the power of Greece for centuries to come. It would also, aside from its mentioning in Homer’s Iliad, erase Troy from the known world until the 20th century. Courage and wisdom are core values in Homer and there is clearly a relationship between wisdom and virtue. This relationship is assumed to exist; it is not something that has to be demonstrated, one does not have to given “an account” why it is so. Moreover, virtue itself is well understood. Virtue in Homer is defined as a set of attributes. One of these is courage; another important one is honor, honor in the sense of “being honored,” by one’s fellows. This particular virtue drives much of the action of the epic and explains the motivation behind the characters’ action. Hector, for example, as Homer term papers note, achieves immortal fame because of the quality of the way he lives and dies. There is sadness in his story, but he is also an uplifting figure. Admirable deeds are more important to a true Homeric hero than is long life. The habitation of Greece began with the peoples of the region which is now Turkey. Before it was Greece, it was Mycanae, a very wealthy, powerful nation which consisted of a series of walled fortress city-states that maintained their own independence from each other and their own forms of government, generally a King. In time, additional peoples came to them Mycanea which, as it grew and shifted culturally, demographically, militarily, and politically, became Greece. Homer, or whoever wrote the works attributed to Homer, certainly knew of Mycanea, as one of the central characters, Agammemnon, is a Mycanean King. Euripides too, knew of Mycanea. The Mycanean age stretched from 1600 to 1200 B.C. and is as much an element of Homeric and Euripidean Greece as England and Plymouth Rock are of ours. Greece literally grew out of Mycanea, it’s developed culture, literature, technologies, art, politcs, philosophy all derived, in some part, from the Mycanean age and form the very foundation of much of our modern western world. Therefore, it is quite safe to say that Homer and Euripides knew enough about the Mycanean age, (by some accounts, Homer was born anywhere from 1200 to 875 B.C. ), to be able to write from legend and the art and artifacts which remained from the period. Though Homer himself (herself? Themselves?) may not have lived in Mycanea, his works certainly discuss events of historic accuracy that occurred in Mycanea. The Iliad takes a journey through the legends of the Mycanean age. His narration of the final year of the Trojan War, the epic battle between the King of Mycanea, Agammemnon, and the people of Troy is one which painted a vivid history of war, struggle, and victory. The body of myth that came out of the Trojan War dominated Homer’s works, The Iliad and the Odyssey. Interestingly, recent archaeological discoveries have proved that the Trojan War did, indeed, take place. It was certainly, as well, an event of the Mycanaen Age of Greece, one which formed the cultural myth, the metaphorical framework for Grecian culture. But, it is also important to understand that Homer was also inaccurate in regards to history as well. What is clear, is that the works attributed to Homer were canted and recanted over many generations of oral storytelling which, as was the custom of the time, was adjusted to fit the current metaphorical mind frame of whatever time and place it was being told. Therefore, the accuracy of specific events, cities, and other archaeologically provable elements of the stories are often questionable. Euripides, too, mentions Agammemnon, the Mycanean King, and heavily features him in “Iphigeneia”. The play depicts a spiritual and physical struggle of familial and historic proportions. Understanding that the common cultural myth of Greece distinctly included the kings and mythos of Mycanea, it can be clearly understood that Mycanean metaphors were deeply set within the mind of all authors of ancient Greece. However, certain locations, just as in the Iliad, in Iphigeneia are supported by archaeology while others are not. Troy, certainly existed, it was a known historic place to both authors. So too was the case with Delphi and Argos, both of which are part of Iphigeneia, and the Temple of Artemis. As with the Homeric errors in the specifics of time, Euripides can be forgiven similar omissions of accuracy as a result of the necessity to form a coherent story. Surely, the accuracy of historic reporting when put into the framework of a play based upon mythic metaphor can be given that much. Ultimately, it can be clearly said that neither author had direct knowledge of Mycanea or of it’s history. They were able, however, to write of that age because of it’s place in the foundation of their own culture. No original texts exist of either work, no real elements of written Mycanea exist. What we have is the result of oral tradition, modification over time. However, regardless of the level or extent of modification, perhaps elements added in tellings to include local sites, the commonality of the mythical locations does not change. Troy, the Trojan War, Agammemnon, Mycanea itself are central to the structure of their then-modern mythologies. Of course both authors knew of Mycanea, it was legend, it gave them their very cultural foundation. Paper Masters writes custom research papers on Homer and discuss the Greek author's works such as The Iliad and The Odyssey.